DIKE, IOWA (May 9, 2018)—A $1.6 million outdoor recreational venue in Dike will commemorate its inaugural season this weekend. Kruger-Hemmen Sports Complex, 545 E. State St., will be open to the public from 11 a.m. to 2 p.m. Saturday, May 12, for a dedication program, on-field scrimmages and a free pork sandwich meal. In case of inclement weather, the event will be rescheduled for the evening of Friday, June 1. The 25-acre site is situated along U.S. Highway 20 and features four baseball/softball diamonds; football fields; soccer fields; courts for horseshoes, shuffleboard and ladder ball toss; a playground; a shelter; and a concession stand with restrooms. A one-mile fitness path links to existing city and county trails. “We are just thrilled that this day has finally arrived,” said Justin Stockdale, president of Fields2Fields, the nonprofit organization formed to sustain the Kruger-Hemmen initiative. The Kruger-Hemmen project—named for major donors Dennis Kruger, founder of Kruger Seeds in Dike, and Kevin Hemmen, Dike resident and president of Waterloo Warehousing & Service Co. Inc.—began in August 2014 when Kruger and Hemmen pitched an idea: Kruger would sell 25 acres of land to the city for developing a sports complex. Both also committed money to get the ball rolling. The Dike City Council approved, and crews broke ground the following year. Fields2Fields worked closely with Bob Hellman Sr. of Waterloo and his nonprofit group, Build Our Ballpark, to rally local and state support. 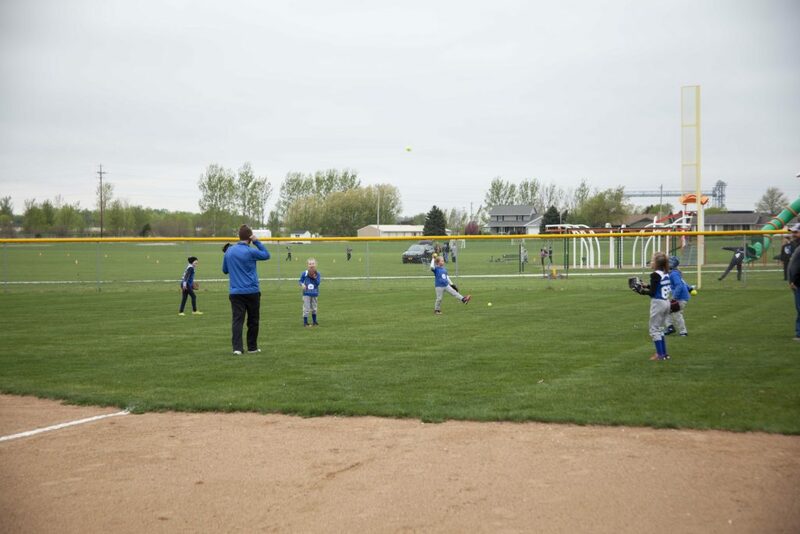 Since 2008, Build Our Ballpark has helped construct or restore nearly 40 playing fields throughout Northeast Iowa. Stockdale noted that the Kruger-Hemmen facility was a much-needed addition in the community. A single baseball/softball field once served preschool through sixth-grade youth during Dike’s summer recreational program. Some teams arranged bases in the grass at Dike City Park for practices and games, while the flag football turf was a bumpy and often-muddy parking area at Dike-New Hartford High School.